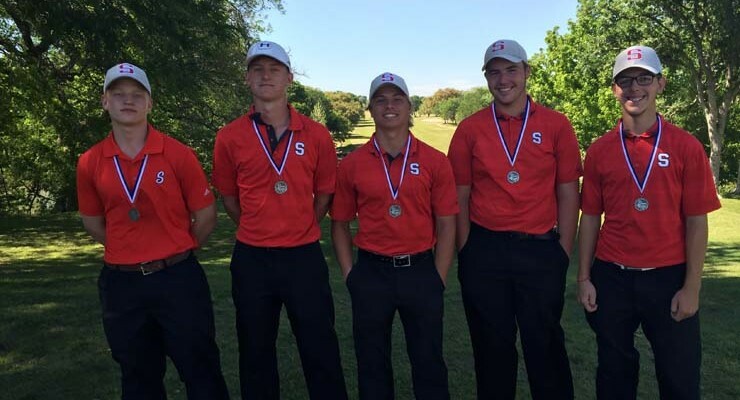 Jan. 29 Lampasas Invitational Hancock Park GC JV Boys 10 a.m.
Feb. 7 Taylor Duck Invitational Mustang Creek JV Boys 9 a.m.
Feb. 15 Llano Yellowjacket Invitational Llano River GC JV Boys 9 a.m.
Feb. 20 Hutto Spring Invitational Star Ranch GC Varsity Boys 8 a.m.
March 7 Salado Eagles Invitational Mill Creek GC JV BNoys 9 a.m.
March 9 San Angelo Boys Classic Bentwood CC Varsity Boys 8 a.m.
March 10 San Angelo Boys Classic Day 2 San Angelo CC Varsity Boys 8:30 a.m.
March 22 Collin Clark Memorial Delaware Springs CC Varsity & JV Boys 9 a.m.
March 29-30 Huntsville Invitational Raven Nest GC Varsity Boys 8:30 a.m.
Feb. 1 Lampasas Invitational Hancock Park GC JV Girls 10 a.m.
Feb. 5 Taylor Duck Invitational Mustang Creek JV Girls 9 a.m.
Feb. 13 Llano Yellowjacket Invitational Llano River GC JV Girls 9 a.m.
Feb. 23-24 4A Regional Preview Raven Nest GC Varsity Girls 8:30 a.m.
March 5 Salado Eagles Invitational Mill Creek GC Varsity and JV Girls 9 a.m.
March 19 Collin Clark Memorial Delaware Springs CC Varsity & JV Girls 9 a.m.
Oct. 26 Waco ISD Cottonwood Creek GC JV JV 9 a.m.
Oct. 31 Hutto ISD Star Ranch GC Varsity 8:30 a.m.
Nov. 14 Harker Heights Stonetree GC Varsity JV 8:30 a.m.
Nov. 16 Pflugerville ISD Blackhawk GC JV 9:00 a.m.
Nov. 18-19 Central Texas Shootout Cottonwood Creek GC Varsity 10:30 a.m./9 a.m.
Dec. 5 San Marcos Onion Creek Varsity Varsity 8:00 a.m.
Feb. 10 Bastrop ISD Wolfdancer GC Varsity 8:00 a.m.
Feb. 11 Bastrop ISD Colovista GC Varsity 8:30 a.m.
Feb. 17 Bastrop ISD Wolfdancer GC Varsity 8:00 a.m.
Feb. 18 Bastrop ISD Colovista GC Varsity 8:30 a.m.
Feb. 22 Hutto ISD Star Ranch GC Varsity 8:00 a.m.
Feb. 28 Round Rock ISD Shawdowglen JV 8:30 a.m.
Mar. 6 Salado ISD Mill Creek JV 8:30 a.m.
Mar. 7 Salado ISD Mill Creek Varsity JV 8:30 a.m.
Mar. 10 San Angelo Central Bentwood GC Varsity 8:00 a.m.
Mar. 11 San Angelo Central San Angelo CC Varsity 8:30 a.m.
Mar. 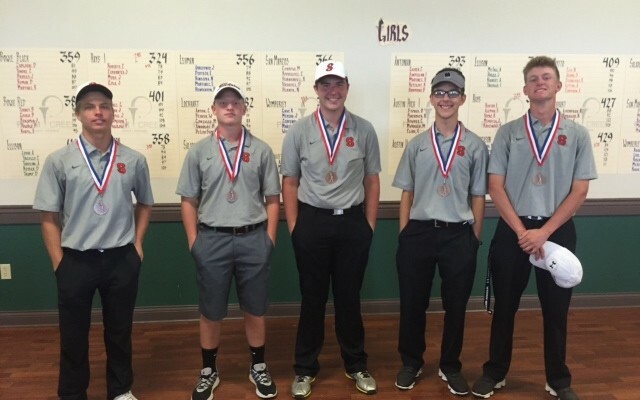 21 Burnet ISD Delaware Springs GC Varsity JV 9:00 a.m.
Mar. 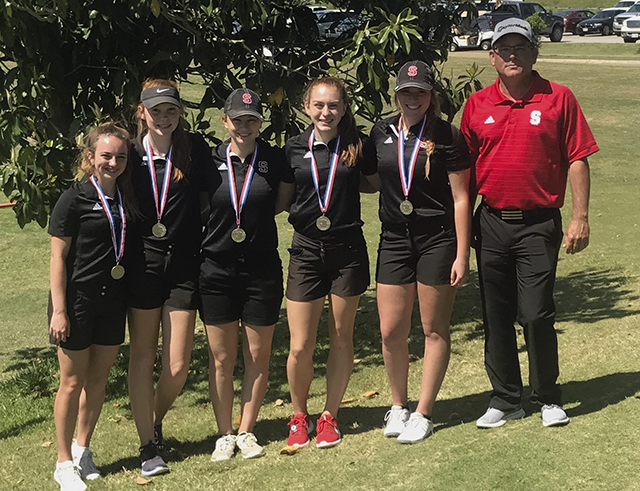 22 Burnet ISD Delaware Springs GC Varsity JV 9:00 a.m.
Salado boys and girls golf teams both placed second in the District Golf Meet played April 4-5 at Lampasas and Salado’s Mill Creek golf course, qualifying for the Regional Meet on April 11-12 in Corpus Christi. 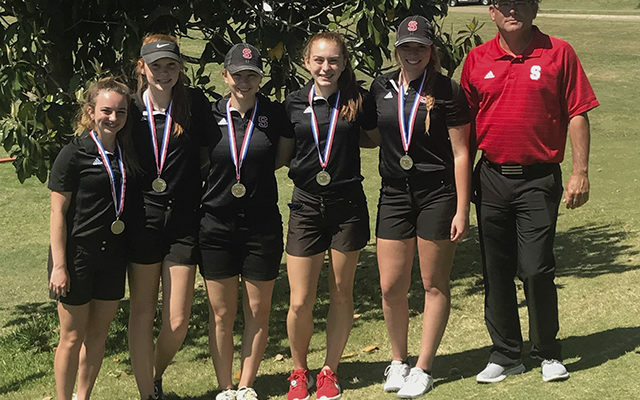 Lady Eagles golfer are (from left) Molly Rodeffer, Jamie Rich, Avery Hyer, Addie Ashe. Not pictured is Kristin Crouch, who had to leave for soccer. 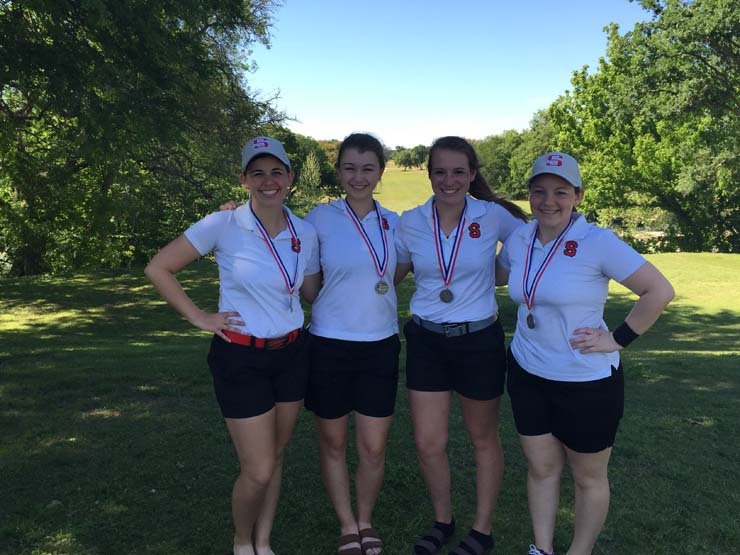 The girls had a two-day total of 755, shooting 372 on the first day and 383 on April 5. Kristin Crouch shot 87 both days to lead the Lady Eagles with a 174 total. Molly Rodeffer following with a two-day total of 190, (91, 99). Jamie Rich shot 193 over two days, 100, 93. Addie Ashe shot 94, 104 for a two-day total of 198. Avery Hyer also shot for the girls with a two-day total of 220. Lampasas won the girls meet with a two-day total of 664. Aaron Torczynski led the boys to a second place finish behind Liberty Hill, which shot a two-day total of 660. 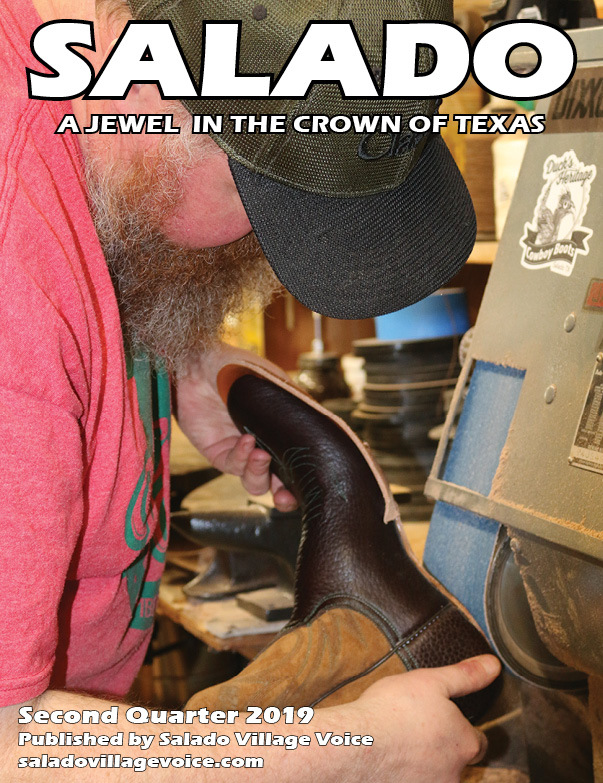 Salado shot 352 on the first day and 334 on the second for an total of 686. Torczynski shot 85 the first day and improved six strokes for a 79 on the second for a total score of 164. Josh Peschel was on his heels, shooting an 85 on day one and an 80 on day two. Caleb SChwertner had a two-day total of 170, shooting 82 and 88. Bryan Lightfoot shot 187 over two days, 100 and 87. Trey Schaub shot a two-day total of 222 (105,117). The girls will play April 11-12 at Oso Golf Course in Corpus Christi. The boys will play April 11-12 at the Lozano Golf Course in Corpus Christi April 11-12. 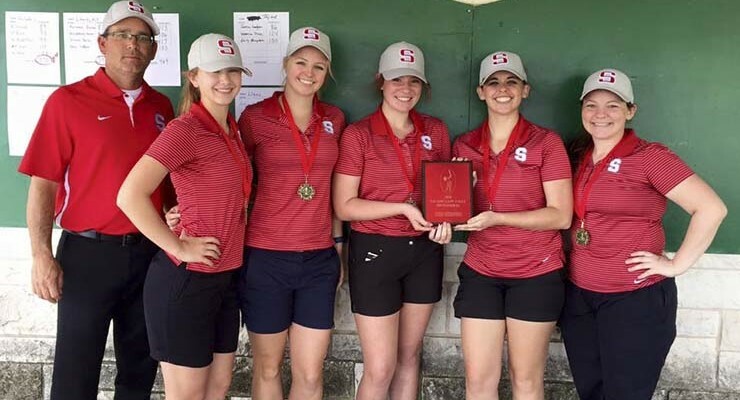 Salado Lady Eagles golf team won their own tournament at Mill Creek Country Club on March 7 with a team score of 375. The girls were led by Kristin Crouch, who had a score of 89 in the one-day tournament. Jaime Rich and Molly Rodeffer followed with scores of 93. Avery Hyer had a score of 100. Addie Ashe shot a score of 103. The boys were scheduled to play at Mill Creek on March 9. Salado girls varsity golf team was third place in the Hutto golf tournament, which was shortened to just nine holes due to inclement weather. 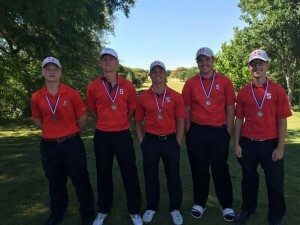 The Salado High School boys golf team placed third in the Hays Consolidated golf tournament in October. The girls placed second in the tournament.